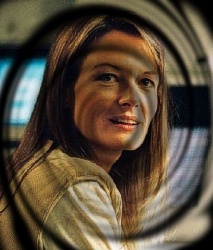 Catherine McCormack (born 1 January 1972, Alton, Hampshire, England) is an English actress. McCormack's first notable role was as the character Murron in the multiple Academy Award winning movie Braveheart. Her screen debut however was as the lead in the Anna Campion directed film Loaded. After Braveheart, McCormack had lead roles in Nils Gaup's Northstar and Marshall Herskovitz's Dangerous Beauty. Other films include Spy Game and 28 Weeks Later. In the theatre, McCormack was one of the original 2006 London cast of Patrick Barlow's play of The 39 Steps. In 2008, she is scheduled to perform the role of Nora in A Doll's House, directed by Peter Hall at the Theatre Royal, Bath, and also the role of Isabel Archer in a stage adapatation of The Portrait of a Lady.